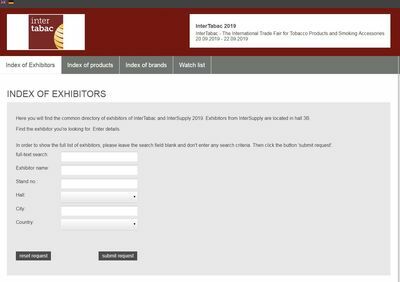 Here you will find the directory of exhibitors of InterTabac. In order to show the full list of exhibitors, please leave the search field blank and don't enter any search criteria. Then click the button 'Start search'.